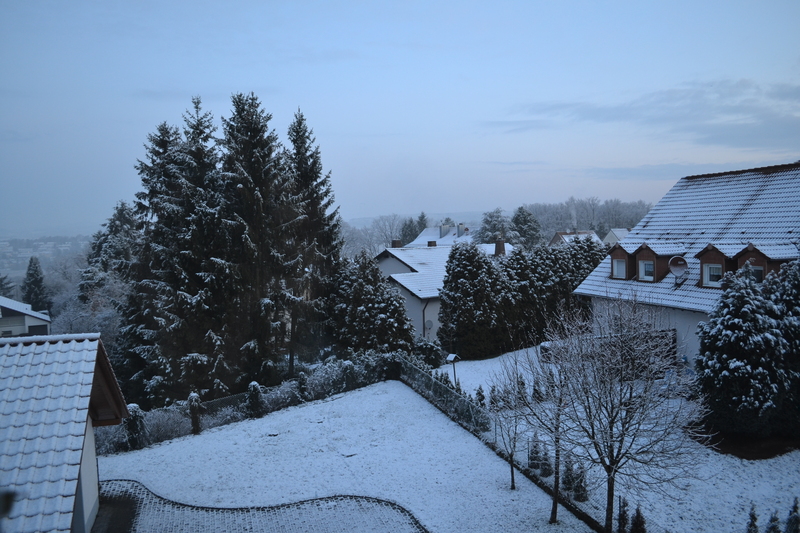 Tuesday morning: the snowy view over the hills around my house. 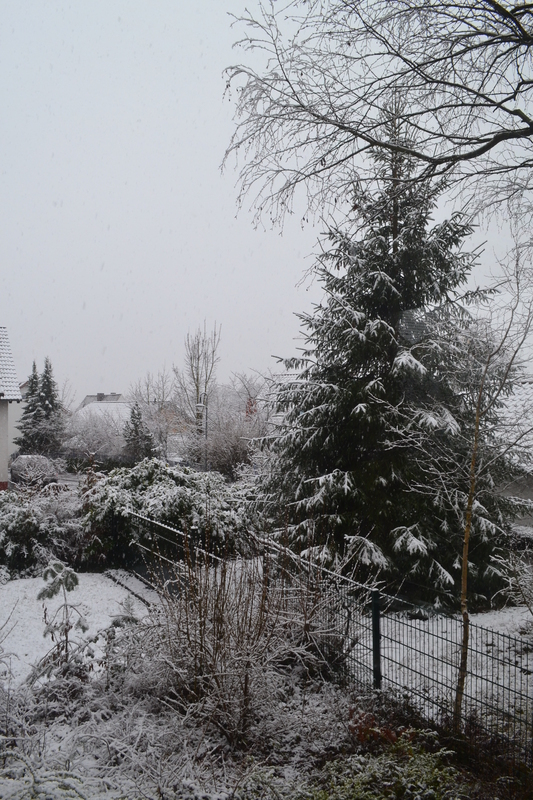 March has certainly come in like a lion to my corner of Germany. This past week saw snow showers almost every day. Each morning we’d wake up to a dusting, or much more (especially in the hills around us), and my kids would cross their fingers as I checked to see if their school would start late. No such luck for them. The snow here is beautiful, and the way it sits on the feathery branches of the spruce and fir trees gives this area a fairy tale appearance. This is the view we dreamed of at Christmas, when the weather was just shy of balmy. But winter did finally come to us. So that’s where we stand now. The last patches of snow have melted in my yard, although I can still see some snowy fields on the surrounding hills. Next week the forecast promises 50 degrees in the afternoons. I think the lion has roared his fill and is turning to leave. I’ll be glad to see March go out like a lamb. By contrast we did not see any snow here in BC Canada for the past two weeks. Thanks for sharing! Funny–I would have thought you would see much more snow. Well, I love a good snow flurry, but I think I’ve ready for springtime and sunshine now. I need warmth. pawsome post! Loved the quote! We had a similar winter her in Eastern Ontario Canada. Spring is finally making it’s way here.